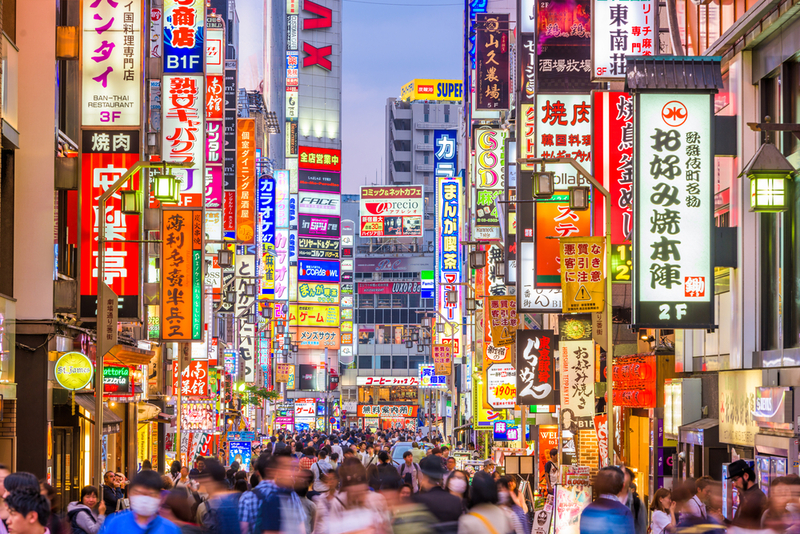 Someday, your hometown might look like Tokyo’s Shinjuku ward: digital, connected, and automated. Technology is disrupting the way businesses interact with their customers at each step in the value chain. As companies flip on their web servers and cloudify their business operations, they’re confronted with the challenge of modernizing a traditionally convoluted and siloed labor supply chain. If today’s consumer can swipe right and land a date and then click a button and get chauffeured to that date, well then why should we expect less from the enterprise and its operational processes? Given the upcoming Digital Signage Expo in Vegas, my team at WorkMarket has closely examined the concept of an integrated workforce in the cloud and its effect on the service provider’s landscape. In order for AV integrators to quickly adapt to changes in the external environment and manage fixed costs, these companies must drive innovation against competitors in how they mobilize people to deliver work. Speed is the hallmark of everything tech-related. Faster response times. Quick solutions. Immediate answers. The audio visual and digital signage field services industry has never experienced greater profitability pressure, loftier expectations—or more widespread opportunity. In fact, the AV marketplace has grown into a $178 billion-a-year industry, and is predicted to continue robust growth through 2020. Not only is the industry itself growing fast, but also the technology behind it is driving an unprecedented transformation in how AV service is both delegated and managed. Freelance Management Software (FMS) is redefining the modern workforce to focus less on physical capital and more on the right skills and knowledge. WorkMarket’s robust software solutions are replacing outdated traditional labor models riddled with manual processes—particularly in the AV and digital signage industry. Some analysts claim the gig economy is still premature, but WorkMarket’s experiences with leading service providers debunk those assertions. Top service executives and HR leaders at these forward-thinking organizations view freelance workers as the backbone of their workforce, and their PM teams leverage our technology to do everything—find and verify correct resources, directly engage and manage jobs, pay workers, and dynamically rate performance—all through a single platform. As the AV and digital signage business is scrambling to differentiate its service delivery model, it is also struggling to adapt to the new skills sets and demands of a changing workforce. This presents a huge challenge when you think about how these businesses will organize their labor forces for distinct, high-impact skills rather than just fixed roles. Our Fortune 1000 clients offer a powerful example of these changes. Waves of professionals are aging out of the workforce and rapidly leaving these companies. In an industry like AV where you have a particularly senior workforce demographic, this pain is widely experienced, too. Imagine the value of institutional knowledge your most experienced employees—alumni and retirees—possess: your customer base, industry history, technical aptitude… out the door. Gone. Most of these professionals prefer not to disappear entirely from the workforce. They opt to exercise their expertise and understanding of a particular business in a way that accommodates a new lifestyle and priorities. As economic pressures have extended the working lives of people beyond standard retirement ages, technology is enabling the enterprise to engage alumni and retirees on their own terms. Until now, engagement outside of a 40-hour-work week was underappreciated and inaccessible. Offboarding employees into an on-demand talent pool ensures valuable knowledge lives on through the next generation of workers. It’s mutually beneficial. The era of hyper-local AV and digital signage businesses is over. Competition is forcing companies in the industry to increasingly connect and extend services beyond their immediate geographic limitations. A business that exclusively operates in Atlanta, now—thanks to virtual talent pools—has the ability to find, manage, and pay field service technicians in Chicago, San Francisco, or even Tokyo. AV and digital signage businesses are only limited by the scope of their ambitions and dedication to digitally transforming the way they do work at scale. One AV integrator client stated that WorkMarket’s platform allowed him to implement intelligent automation solutions that dramatically increased efficiencies throughout his labor network. Servicing a mega retailer with tight SLA requirements necessitates technology that algorithmically provisions work to ensure a predictable outcome—whether that workflow is distributed across 20 or 2,000 locations. In their journey towards building an agile workforce, this particular AV integrator reduced its service deployment process by 30% and gained $3m on its P&L through reduced OpEx and net new business. As workforce management becomes a crucial part of the AV industry’s business operations, these companies will need to rethink their ideal blend of human capital. Integrating the labor mix into the operational process gives businesses a strategic advantage to succeed over time. For an idea of what may be in store for the AV and digital signage industry, consider the amount of work it takes to power Tokyo’s Shinjuku ward. Want to learn more about how AV and digital signage integrators can use WorkMarket’s platform to automate processes and leverage alumni and retiree labor pools? Download this exclusive whitepaper, "How To Boost Your Bottom-Line With Specialized AV Contractors." Jonathan Covey is a Workforce Practice Lead at WorkMarket, an ADP company. Jonathan works with senior executives at top F1000 enterprises to implement cloud SaaS technology into their workforce models as part of their digital transformation journey. You can reach him at [email protected].